A router is an important device that helps to transfer data packets between computer networks. There are router manufacturing companies among which ASUS is one of them. ASUS router account is one of the most trusted and secured one. Since there are different model routers, you can log in each one of them. Here is how one of the models of ASUS router login for ASUS RT-N66R. 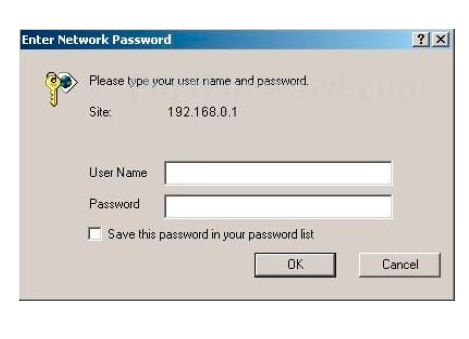 In order to login your router, you need internal IP address of your router. For your internal IP address, you can look on the back side of your router. 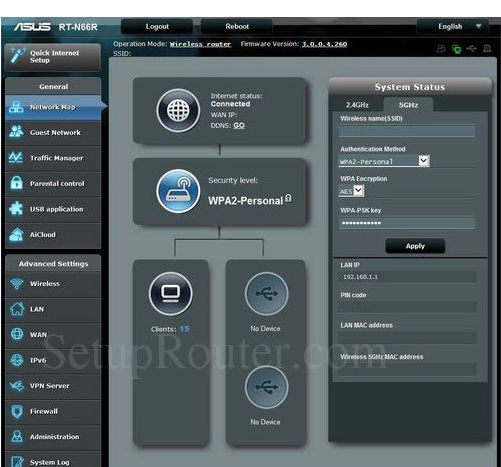 After you get your IP address, here are the steps you should follow for Asus router login. First, open up your browser. You can use any browser like internet explorer, Google chrome, Mozilla, torch. Now, enter the IP address in your web browser. Now you will be asked your username and password. Enter your default username and password if you are first time user. Your ASUS router default login username is admin and your ASUS router default password is an admin. Enter both in username and password. Then, ASUS router homepage will open as shown in the figure. If you don’t see the home screen as shown in the figure, then you are not logged in. Either your username or password is wrong. So, enter the correct username and password. You can give a call to the store from where you bought this router. They will provide you. After logging to your router, you can set up your setting. How to reset ASUS router? Reset Asus router will change the setting of your router to factory settings. It means the setting of your router will be the same as it were when bought. Remember that resetting and rebooting is a different term. Rebooting ASUS router means to off and on the router with power. When you reset ASUS router, following parameters will be changed. Any port you have set up. Any firewall setting you have made. Any configuration changes you have made. To factory reset Asus router, find the small reset button at the back of your router. After you find reset button, press it by tiny pin. Press it for 10 seconds. Don’t press hard that may damage the pin. After 10 secs, leave the reset button. Now, your router is reset. Our router will start to blink that means it is reset. Now, you can Asus router login with your default username and password by following the simple steps given above. If you want to know more about ASUS router and other various setting methods, you can check out the ASUS router manual. You might have provided one while you bought your device. Remember that there are different models of the router of the same company. So, it depends on your model. Check your model correctly before logging and resetting it. For more help, contact the nearby customer care centre.